JUNEAU - Alaska plans to sell two of its fast ferries as part of cost-saving measures. The state Department of Transportation and Public Facilities intends to sell the F/V Fairweather and the F/V Chenega in coming months, the Juneau Empire reported Wednesday. The state will begin operating at least one new ship, the F/V Tazlina, in Juneau this year and expects to save about $400,000 in fuel costs by retiring the nearly 15-year-old Fairweather, said Aurah Landau of the Department of Transportation and Public Facilities. Ferry staff will technically be laid off in accordance with union contracts, Landau said, but there are enough vacancies on other ships that no job losses are anticipated. "With completion of the Tazlina, and its deployment in Lynn Canal this summer, the Fairweather is no longer needed," Landau said. 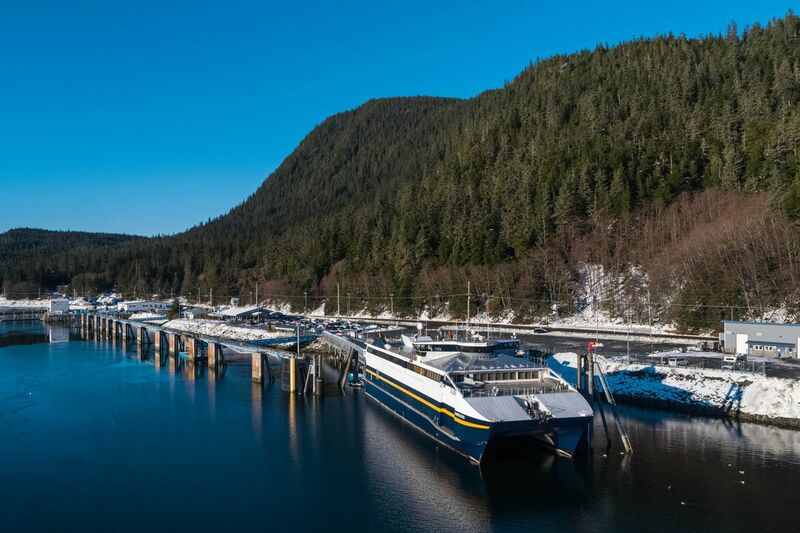 The Tazlina is slower than the Fairweather and can only make one trip per day in Juneau, but it can take 53 vehicles compared to 31 on the Fairweather, according to Landau, who said that capacity ensures Tazlina can provide "a similar level of service." The Alaska Marine Highway System would have shut down last year without an emergency funding bill passed by the Legislature in March. In his budget proposal two months ago, Gov. Mike Dunleavy, a Republican, proposed a 75 percent reduction in the system's budget that would halt ferry service in October, according to the newspaper. Employees, regular ferry users and many legislators have objected to the proposed cuts, the newspaper said.